Would you like to be notified of upcoming ProSource deals and events near you? 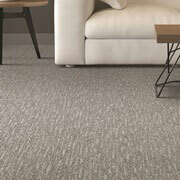 Using high-quality flooring for a home remodel project is vital to the value and functionality of your client’s home. At ProSource® of Nashville, you will find the absolute best in carpet, hardwood, laminate, tile, and vinyl flooring solutions to fit any of your client’s flooring remodel needs. Visit our showroom and discuss your client’s project with one of our experts to find the best solution at wholesale prices. Whether your client wants lush and comfortable or lean and tough carpet flooring for their renovation project, you will find it at ProSource of Nashville. Our expert team can help you and your client find the best flooring material and wholesale pricing to satisfy your client’s needs. 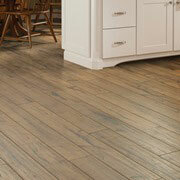 Hardwood flooring is a great solution for highly trafficked areas around the home like the kitchen. Its elegant aesthetic and functional design allows for a variety of applications throughout the home. Discuss your client’s project with one of our flooring experts to decide which type of hardwood is best for your situation. 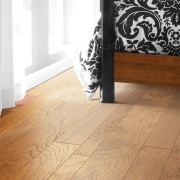 Laminate flooring is relatively low maintenance with high durability. Your client will find laminate to be a great flooring solution if their budget doesn’t allow expenditures on hardwood or tile flooring options. Laminate is also known for its unique ability to mimic hardwood, vinyl, and sometimes tile flooring, which is great for budget conscious clients. 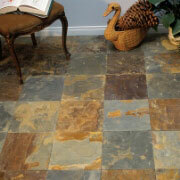 Tile flooring is a charming choice for any kitchen or bathroom remodel. It adds elegance and functionality to the space. If your client is looking for tile, bring them into the Nashville showroom. 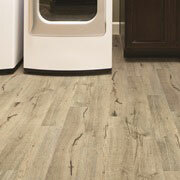 Vinyl flooring is cost effective and durable when it comes to flooring solutions, whether residential or commercial. You will find luxury vinyl tile (LVT) and luxury vinyl plank (LVP) to be great choices when flooring a home remodel project. We serve throughout Nashville, Franklin, Brentwood, Hendersonville, and Murfreesboro, Tennessee, and the surrounding areas. The ProSource of Nashville showroom is conveniently located in Nashville, Tennessee and serves all of the neighboring cities including Adairville, Adams, Adolphus, Alexandria, Allensville, Alvaton, Antioch, Arnold AFB, Arrington, Ashland City, Auburn, Auburntown, Baxter, Beechgrove, Belfast, Bell Buckle, Bethpage, Bloomington Springs, Bon Aqua, Bowling Green, Bradyville, Brentwood, Brush Creek, Buffalo Valley, Burns, Carthage, Castalian Springs, Cedar Hill, Centerville, Chapel Hill, Chapmansboro, Charlotte, Chustnut Mound, Christiana, Clarksville, College Grove, Columbia, Cornersville, Cottontown, Cross Plains, Culleoka, Cumberland City, Cumberland Furnace, Cunningham, Dickson, Dixon Springs, Dowelltown, Drake, Duck River, Eagleville, Elmwood, Erin, Ethridge, Fairview, Ft. Campbell, Fosterville, Franklin, Gainesboro, Gallatin, Gladeville, Goodlettsville, Gordonsville, Granville, Greenbrier, Guthrie, Hampshire, Hartsville, Hendersonville, Hermitage, Hickman, Holland, Hurricane Mills, Joelton, Kingston Springs, La Vergne, Lafayette, Lancaster, Lascassas, Lebanon, Lewisburg, Liberty, Lyles, Lynchburg, Lynnville, Madison, Manchester, Mc Ewen, McMinnville, Milton, Mitchellville, Morrison, Moss, Mt. Juliet, Mt. Pleasant, Murfreesboro, Nolensville, Norene, Normandy, Nunnelly, Oak Grove, Old Hickory, Olmstead, Only, Orlinda, Palmyra, Pegram, Petersburg, Pleasant Shade, Pleasant View, Portland, Primm Springs, Readyville, Red Boiling Springs, Riddleton, Ridgetop, Rockvale, Russellville, Santa Fe, Scottsville, Shelbyville, Silver Point, Slayden, Smartt, Smithville, Smyrna, Southside, Spring Hill, Springfield, Summertown, Summitville, Thompsons Station, Trenton, Tullahoma, Unionville, Vanleer, Viola, Wartrace, Watertown, Westmoreland, White Bluff, White House, Whites Creek, Whitleyville, Williamsport, Woodburn, Woodbury and Woodlawn.